Fossil Blu Copper Sinks begin as raw copper ore buried in mines. While mining techniques have evolved, the pursuit of the purist ore has not. 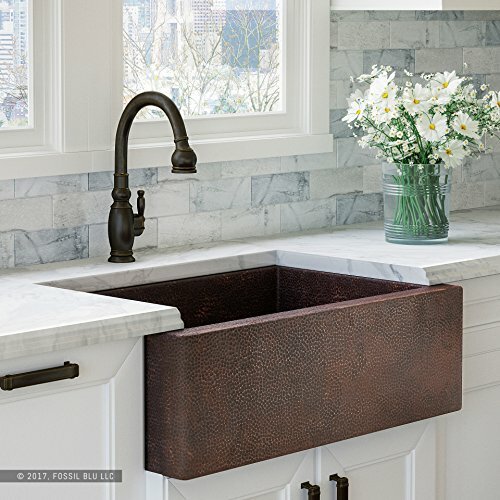 We source our raw copper from mines located in both North and South America to ensure we are always using the best copper available for our copper kitchen sinks. SPECIFICATIONS: 33" W x 10" H x 20" D; 14-Gauge Copper, 40 LBS.